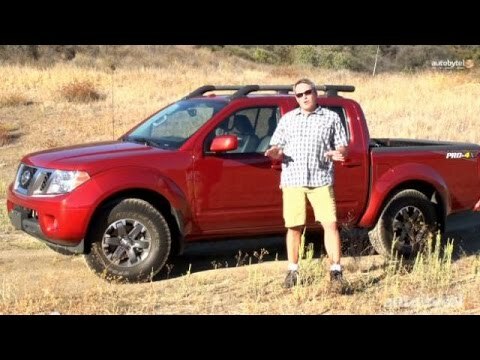 The 2014 Nissan Frontier is just one of two remaining midsize pickups offered to the American truck buyer; the other is Toyota's Tacoma. Comparatively speaking, the Frontier offers more standard interior space and a more powerful V6 engine, and its reasonable size and comfortable driving dynamics make it very livable daily driver. A simple, standard, reliable vehicle. This truck is an overall handy vehicle if you want a truck but do not necessarily need. An extremely large vehicle. Everything provides a quick response, and the console and controls are laid out well and presented very straightforward. The truck can get around 16 miles per gallon. This vehicle is reliable. I have put 40, 000 miles on this truck and taken plenty of multiple hour drives in it without any strange occurrences or issues. This is a truck that is definitely worth the price, will give you good mileage for what it is, and is extremely dependable if taken care of. Rear view camera and proximity alarm activates when you shift into reverse. Ac fan is loud when truck is idle and in park. It gets good gas mileage (v6). Plenty of space in cab (4 door extended). Only had it for a few months but so far no issues. Fairly comfortable. The bed is smaller due to extended cab but still quite a bit of room in the bed. Rear view camera engages when you put it in reverse and a proximity alarm beeps when you are close to backing in to an object. It is reliable. It will get you where you want to go. You can count on it. This is the third Nissan truck I have bought. It is very dependable. I have approximately 68, 000 miles on it and I have never had a single problem. So, it is dependable. It does not use much gas, about 27 miles per gallon. It will transport five adults and has a short bed for hauling cargo. We have two cars. But, this would be the ideal car for a family that just has one car. If the seat belt anchor bolt is not attached as designed, that increases the risk of injury in the event of a vehicle crash. Nissan will notify owners, and dealers will inspect the seat belt anchor attachment and repair it if necessary, free of charge. The recall began on August 18, 2014. Owners may contact Nissan customer service at 1-800-647-7261.